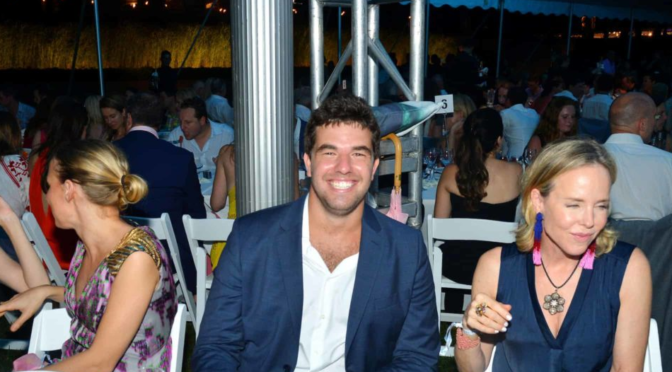 Fyre Festival founder Billy McFarland was arrested and charged with one count of wire fraud Friday for allegedly defrauding investors with his disastrous music festival that left hundreds of well-heeled millennials stranded in the Bahamas and millions of dollars in investments and ticket sales unaccounted for. McFarland, the 26-year-old CEO of Magnises, a concierge company, and Fyre Media, an app to book performing artists for private events, will spend the night in jail. He is expected to be arraigned before a judge on Saturday, Joon Kim, the Acting United States Attorney for the Southern District of New York, said in a statement. Prosecutors allege McFarland began the criminal scheme in late 2016, right around the time he announced the Fyre Festival through a well-orchestrated marketing campaign involving hundreds of so-called Instagram “influencers,” including Kendall Jenner, Bella Hadid and Hailey Baldwin. According to the criminal complaint, filed in the Southern District of New York, McFarland lied to at least two investors about how much the company was worth, eventually inducing them to invest around $1.2 million in the festival based on assertions that Fyre was making millions of dollars in revenue. In fact, prosecutors say, the company had earned only $60,000 over the past year. McFarland also allegedly doctored a stock ownership statement to convince one of those unnamed investors that he held more than $2.5 million in shares in an unnamed company to use as collateral in the deal. Though the complaint doesn’t specifically list the stock or the investor, a brokerage statement purporting to show McFarland as the owner of $2,565,079.18 in Facebook stock is listed as an exhibit in a civil suit filed by investor Oleg Itkin, who gave McFarland a $700,000 loan. Prosecutors say McFarland did own shares of Facebook stock — but only about $1,400 worth. It’s not clear who is representing McFarland, who was dropped by his legal team Hughes, Hubbard & Reed LLP, on Wednesday. Michael Levine, a Westchester attorney, is listed as McFarland’s incoming attorney in a signed affidavit in the Itkin case. But reached by phone Friday night, Levine denied any involvement in the criminal case and said he was merely involved in the civil case as local counsel for a California firm which he declined to name.